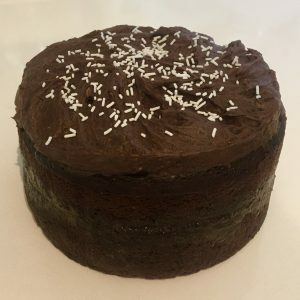 Posted on November 17, 2018 Posted in Cakes	. 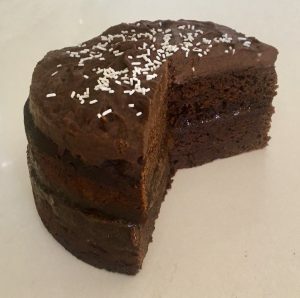 Many many times I have used avocado as the base to a healthier alternative frosting for cakes. Additionally, I have made mousse, tarts and pies with avocado as the core filling ingredient. But, what I haven’t really experimented with is using avocado as a key ingredient within the cake itself. Sour cream, mayonnaise, yoghurt, varieties of cheeses, even cordial have featured as a wet ingredient in my past baking experiments but avocado surprisingly was a new one for me. 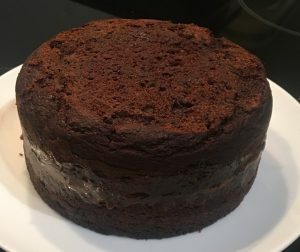 To come up with an avo based recipe I played around with a ridiculous number of cake flavor combos. And by a number I mean 14 different variations from sourcream & onion chips with chocolate to rosemary chocolate & orange blossom, even vegemite & chocolate. The outcome of chocolate was def a winner. The experiment of flavor profiles of strawberry and dates resulted in the standout cake, delivering a rich chocolate strawberry treat. 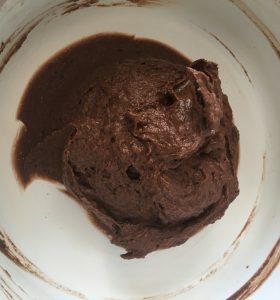 As avocado is full of good fats, omitting the amount of bad fat I thought it would be an interesting direction for the recipe to completely replace sugar via dates and jam (yes I know jam has sugar but majority of the sweetness is through the strawberries) and chocolate replaced by means of raw Dutch cocoa powder. The end result is a satisfying and suprisingly addictive sweet treat. 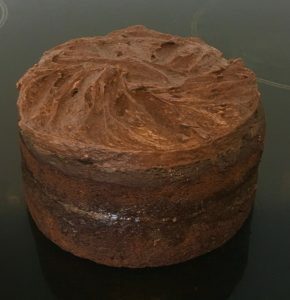 Pre-heat the oven to 180c degrees and line a 25cm cake tin with baking paper. Place the dates and 190ml water into a saucepan on a medium/high heat. 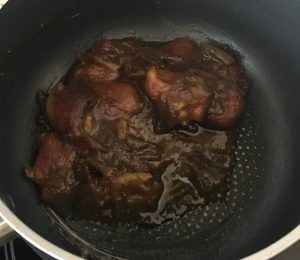 Once mix boils stir through the bi-carb of soda, set aside to cool completely. Place the dates, butter, avocado, eggs, vanilla, salt, milk and strawberry jam into a food processor and blitz until well combine and smooth. 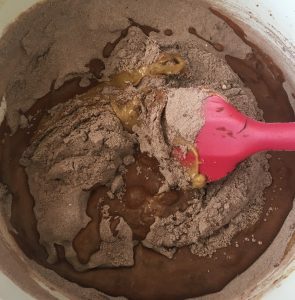 Transfer avocado mix into a bowl, sieve the flour and cocoa into the mix. Fold all ingredients together until just combine. Spoon the mix into the cake tin and place in the oven for 40 minutes or until a skewer inserted into the center comes out clean. 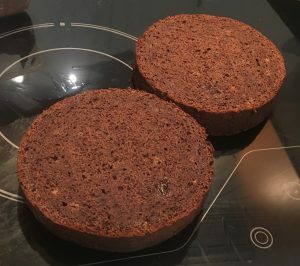 Place the cake on a cooling rack until cool. 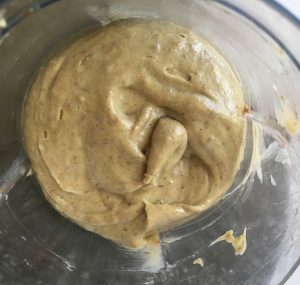 Meanwhile make the frosting by placing all of the frosting ingredients into a food processor and blitzing until combine and fluffy. 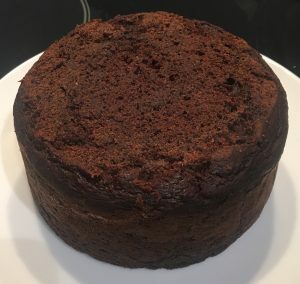 Once the cake is cooled cut in half horizontally, place a cake layer on a plate cut side up, and spread with half the extra jam. Use the back of a spoon to push the jam into the cake. Repeat for the 2nd cake layer, leaving the layer on the bench, jam/sut side up. Top the jam on layer 1 with 1/3rd of the frosting and repeat with the second layer. Sandwich the 1st cake layer with the 2nd cake layer, jam side down to have an unfrosted cake top with all frosting and jam in the center of the cake. Top with the remaining 1/3rd frosting and enjoy! 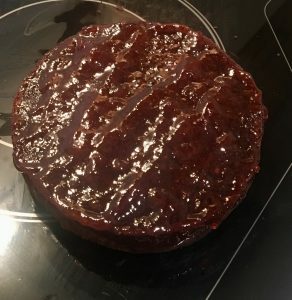 Tags: avocado, chocolate, Date Strawberry and Chocolate Avocado Cake, dates, jam, strawberry, strawberry jam, Strawberry Jam Chocolate Avocado Cake	.